Witamy Farm has some of the happiest chickens in Jackson County. The proof is in just how productive they are – all year around. Ben has made them a fantastic coop with a veritable Jungle-Jim to roost on and a spacious yard to strut about in. On days when we are home, they are free to roam the property and the surrounding woods. They are particularly helpful to in the garden, following Xania around where ever she might dig, and in the alpaca pasture, ridding them of the dangerous parasites. 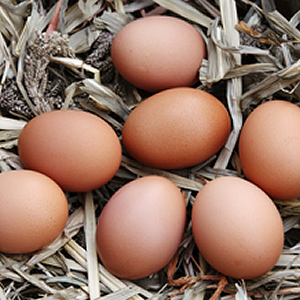 Because they are fed all natural feeds and are free-range, the chickens enjoy a fantastically rich diet which makes for a delicious and nutritious egg. It is amazing to see the richly colored yoke of a properly feed chicken. Eggs are collected every evening. They are immediately cleaned and put in the refrigerator with a date stamp to ensure quality. 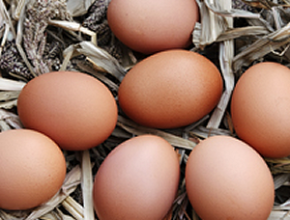 We are pleased to offer our eggs at the low price of $2.50 per dozen. Drop by and pick some up!